Baseball is an incredibly physical sport in every sense of the word. To reach your potential in baseball you need to be incredibly well-rounded from a strength and conditioning perspective. In a game setting you need to have high levels of relative strength, solid conditioning, lots of power, speed, agility, stability, and co-ordination through unpredictable movement patterns. That’s a lot to consider and a lot to train for. Especially when you consider the fact that you need to be doing all of this for the incredibly long and dense competitive season schedule that baseball expects you to always be performing your best during. Baseball players don’t really have the advantage of training for one quality year-round, such as ultra-marathon runners would train endurance. 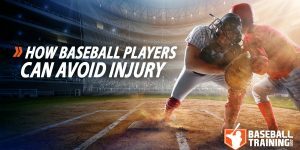 No, optimal baseball performance requires that you juggle strength, conditioning, speed, power, stability, and agility throughout the year to become a true hybrid athlete. Combining many different areas for different skillsets of baseball performance. One of these areas is optimizing your speed through developing your muscles alactic power and alactic capacity. As outlined on the main page, conditioning is a term that is sport specific in nature. Conditioning for crossfit is different than for baseball. Conditioning for Olympic weightlifting is different than conditioning for MMA. Every sport has it’s own unique energy system, movement pattern, and muscle recruitment demand that all build towards creating the most prepared athlete for his specific sport. Baseball players should not be training on random workouts, or else they will get random results. This is where understanding physiology comes into play and how we can utilize that knowledge for application in our program design. Understanding energy system use allows us to determine where the game of baseball is most played. When I say energy system, for those unaware, the body has three primary energy systems that it utilizes to create energy from creatine, carbohydrates, or fat. The intensity at which you move determines whether your body is going to primarily burn creatine, carbohydrates, or fat. Since today’s discussion is on baseball speed (and not overall conditioning) we’re going to focus in on the alactic power and alactic capacity systems of the body, which primarily utilize stored ATP, creatine, and some carbohydrates. The anaerobic alactic system is best thought of as your explosive energy system in a game setting. It is this energy system that has the ability to create extremely high levels of force within a fraction of seconds. Need to steal a base? Use this system! This is the type of power that is used on the diamond during all three components of speed (starting speed, acceleration, and top speed), hitting, throwing, and maximal agility for high velocity direction change. The alactic system, which is also known as the “creatine phosphate system” or the “ATP-PC system” has the smallest amount of chemical reactions needed to produce ATP (energy). What this means for you is that when this system is well-developed, you can create a ton of explosive power in a very short time period. In a game that moves as fast as baseball, this is crucial. One second, you’re standing still in the outfield or maybe on second base as a base runner waiting for a ball to be hit. The next second, the batter makes contact and chaos ensues. You better be moving fast if you want to be that “go-to” player who makes those game saving defensive plays or game winning plays on the bases. But with high force production also comes the high cost of fatigue-debt. The alactic system creates fatigue building by-products as fast as it creates power and this is why nobody can go truly 100% for much longer than 10-12 secs. Try sprinting at full speed for longer than that, you’re going to slow down. Additionally, even if it didn’t produce fatigue at this high of a rate it relies solely on stored ATP and phosphocreatine within the cells to drive its ATP production and due to this limited storage it simply just runs out of the necessary substrates to keep fueling movement. Supply and demand, your body will run out of creatine and stored ATP very quickly. The opposite of those negatives are what we improve through proper training of these systems; increased intra-muscular storage of ATP and phosphocreatine along with better energy system specific conditioning levels so we can produce this type of force without the same levels of fatigue build up. What this means for you is a repeatable amount of high force production, put another way, your ability to run the bases and run for the ball as fast as you did in the first inning as you are bottom of the 9th. In an example, a 100m sprinter almost exclusively utilizes this system during competition so this becomes a major part of their training program. In comparison, a marathon runner would accumulate much greater fatigue sprinting than a sprinter would simply due to the fact that the sprint has a more developed alactic energy system. Sport-specific conditioning coming to light, I think you’re starting to see the big picture here now. As a side note, this is one of the main functions of creatine monohydrate supplementation and why I like to recommend it to baseball players. Creatine monohydrate increases intra-muscular stores of creatine phosphate which acts as an ATP donator, leading to a delayed time to fatigue for the alactic system. Allowing you to go harder and longer in a game or gym setting. Remember from before? Supply and demand? Creatine offers more supply (ATP) than you otherwise would have, so you do more demand (sprinting, hitting, throwing, etc) than you could before. Creatine is not just a strength tool, it’s a conditioning tool as well in the sport of baseball. The alactic system is a very important component of both your conditioning and your strength training. 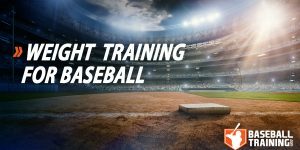 It is this system that is fuelling the highest intensity efforts and when you view the game of baseball, it is a combination of extremely high intensity physical bouts interspersed with low intensity bouts. An example of this can be seen with explosively running to first base, followed up by it being declared safe, you standing around and waiting for the next play to start. The alactic system fueled the your swing and hit of the baseball as well as your sprint to the base, which could have created momentum or an RBI which can be game changers. Making it a high priority in your approach to how your team should be training to improve energy system and sport specific performance. Both alactic power (maximum rate of force production) and alactic capacity (duration of alactic contribution) have a meaningful amount of trainability and room for improvement within any baseball player at any level and is best trained through short duration, high intensity activity. Whereas your alactic capacity is going to contribute to your extended ability to run (perhaps to 2nd, 3rd, or home in one hit), or your ability to repeat these efforts in the absence of fatigue. For example, smashing hits all day in hitting practice instead of being worn out after a few. 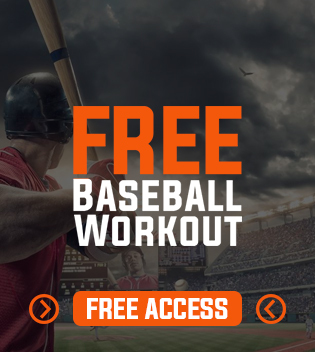 Just about every baseball player alive would like to be more powerful and more explosive. This is the type of alactic development that is going to determine whether an athlete is that go-to guy when the team needs a hit or the guy who stays on the bench. In order to be the most explosive player you can possibly be, you need to develop this energy system. 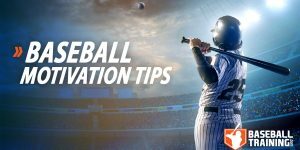 Baseball is a very unforgiving sport of inches and seconds and just having that little bit of extra power can be the difference between winning and losing a game, or making the team or being cut. Although when it comes to the alactic system, genetics do play a large role. There is no getting around genetics and some people will just simply be faster and more explosive than others and this is due to a variety of factors including muscle fiber type, biomechanical advantages, and neuromuscular ability. But, most athletes have the ability to improve this system 15-30% and that type of development will translate huge out on the field. It’s important that you always keep in mind and remind your teammates that you need to train at 100% intensity in order to train this energy system. If you’re not moving at 100%, you will fall into some grey area and will no longer be maximally improving your alactic development. This is why the rest periods are as long as they are, you need to maximally recover. This is not an aerobic conditioning session, this is a speed based power session. There is definitely a threshold of intensity that has to be reached before you start tapping into this system so take the time you need for rest in-between bouts when training for power. You need to come in ready to rock. I can tell you this from both a research and observational standpoint, the guys who don’t move explosively in the gym will not move explosively out on the field.